Polly’s dreams of making it as an actor are shattered when her identical twin sister Amy catapults to international stardom. 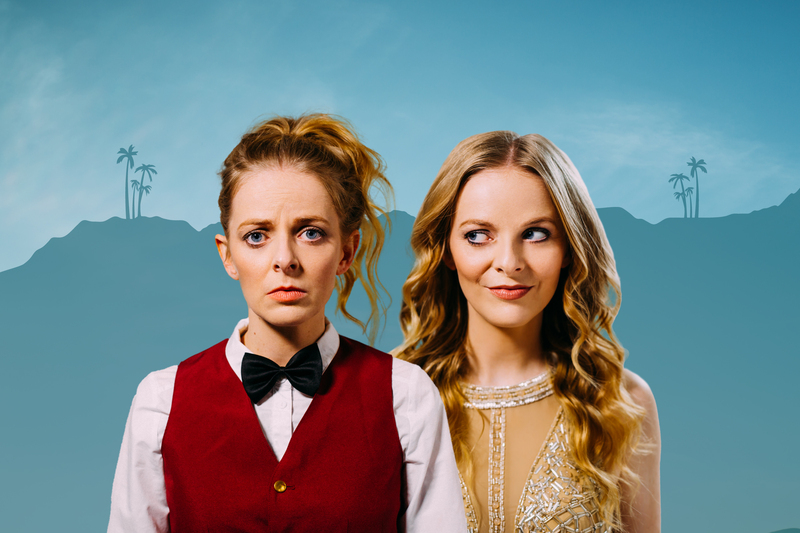 Mistaken for her famous sister at every turn, Polly scrambles to catch up – juggling woeful auditions, painfully awkward dates and her underwhelming job at the local cinema. Running out of options, Polly takes an ill-advised trip to the coalface of celebrity dreams: Los Angeles, California. There Polly begins to realise that maybe there’s no such thing as ‘making it’ after all. With a breakout performance from Alice Foulcher in dual roles as Polly and Amy, and backed by a sparkling ensemble cast of established and emerging actors, THAT’S NOT ME is a feel-good comedy about the difference between failure and disappointment. Writer/director Gregory Erdstein and actor/writer Foulcher burst onto screens as a fresh new voice in Australian cinema, with their smart, hilarious and touching debut feature. THAT’S NOT ME is the debut feature from writer/director Gregory Erdstein and actor/writer Alice Foulcher. Married since 2013, the pair met while studying in 2008 at the acclaimed Victorian College of the Arts (VCA) School of Film and Television in Melbourne, Australia. They have collaborated on several short films including the TROPFEST (2014) finalist short A BIT RICH, and the critically acclaimed PICKING UP AT AUSCHWITZ. THAT’S NOT ME was written during an eight-month writing residency in Paris at the prestigious Cité des Art Internationale. It was released in Australian cinemas from 7 September 2017, exclusively at Palace Cinemas.